Maybe it was because my 5-year-old decided to write a letter to Santa about all the things mom had done wrong that day. Maybe it was because my 3-year-old refused to let me brush her teeth for the umpteenth time until I showed her pictures of rotten teeth on the Internet. Or maybe it’s just that writer’s block will do strange things to a person. But that night, when I watched Disney’s Moana for the first time with my husband, and I really sympathized with Maui when Moana came to drag him off on her quest. When he sang the “You’re Welcome” song, all I could think of was my own kids. I’m always in need of a creative outlet, so I decided to write a spoof of the song. For fun, I added some funny parenting pictures for your viewing pleasure. The singing is by a talented artist, Celeste Notley-Smith. Check it out and let me know what you think! 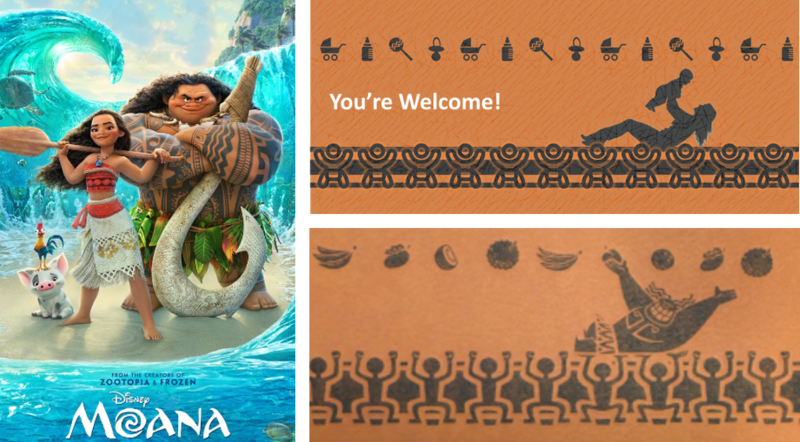 This entry was posted in Craft of Writing and tagged Disney, Funny, Humor, Maui, Moana, Mom, Parenthood, Song, Spoof, You're Welcome by conjurors. Bookmark the permalink.